Our annual Fish On! Hook-and-Line Volunteer Newsletter is now out with highlights from our 2017 surveys. This was our third year of hook and line surveys at Cape Falcon, and our sixth year of hook and line plus third year of longline surveys at Redfish Rocks. We saw 17 different fish species and collected data on 1,873 fish. 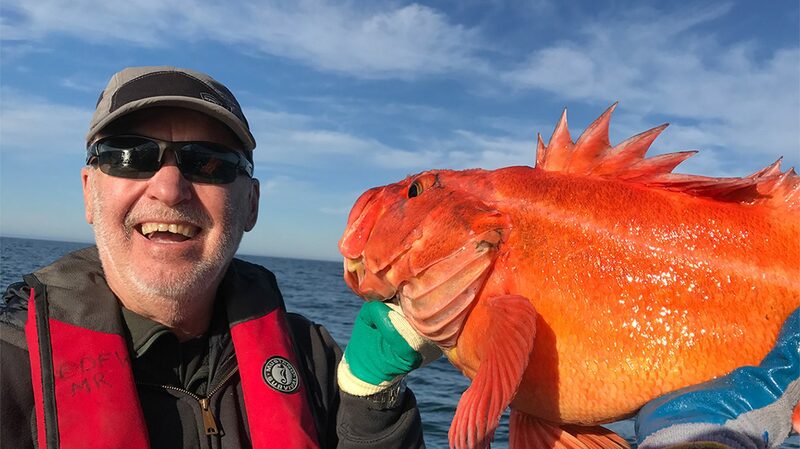 The biggest fish caught was a 38 inch Lingcod and the smallest was a 5 inch Deacon/Blue Rockfish. 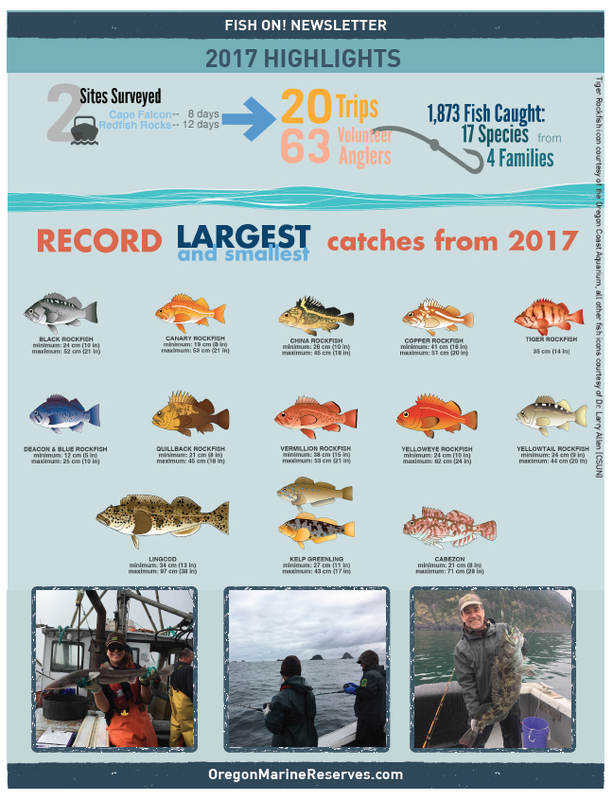 A big thank you from the ODFW Marine Reserves Program to all our volunteer anglers, research assistants, and vessel captains and crew that assisted with the 2017 surveys. We look forward to seeing our volunteers again next year for surveys at Cascade Head and Cape Perpetua. Check out the Newsletter for more survey highlights and to learn a bit about our pilot fish tagging study at Redfish Rocks.